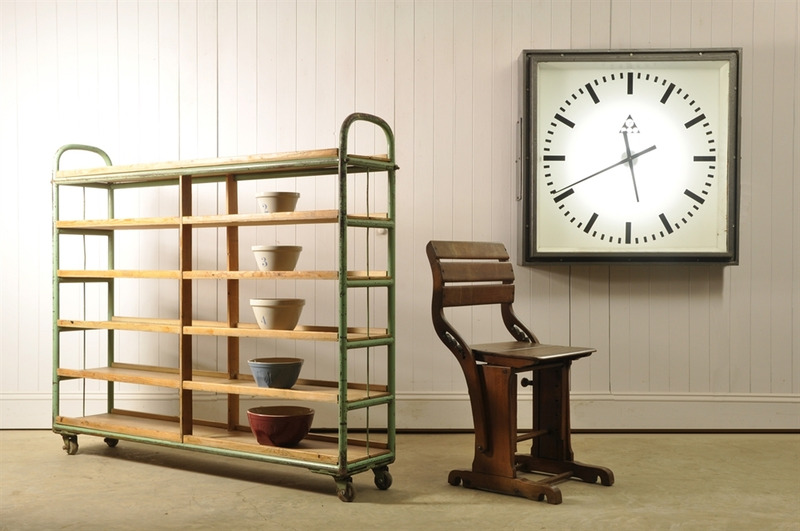 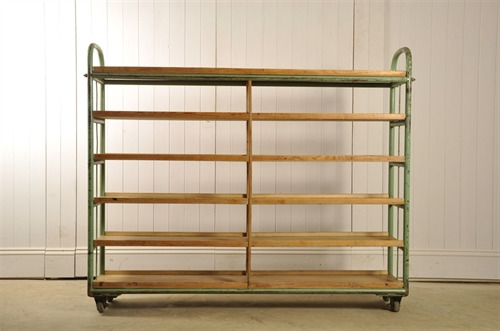 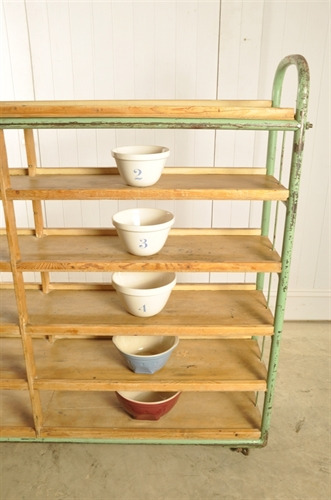 Vintage Factory Rack - Original House – Decorative Antiques, Vintage Industrial Furniture and Lighting, Cotswolds. We love these old shelving units on castors. 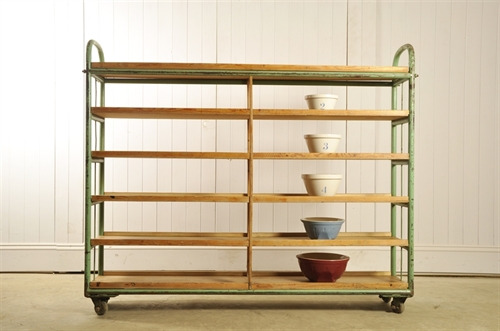 Forever useful whether around the house, restaurant, or as point of sale in a clothing shop. 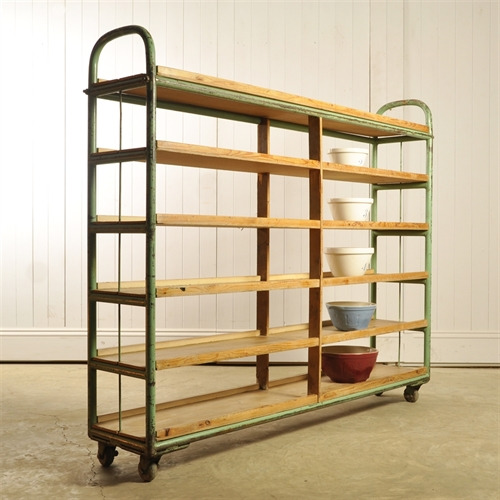 We have given this industrial trolley a good clean but it retains much of its authentic patina with a few knocks and scrapes - in a few areas a small amount of the ply has lifted. 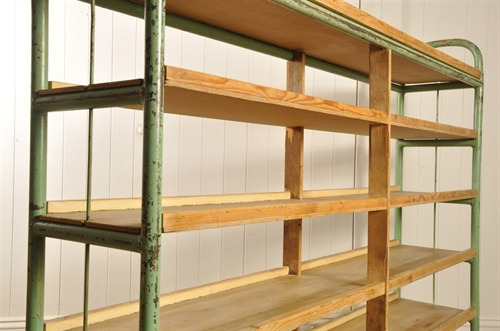 127 cm h x 149 l x 30 d ( 17 cm h between shelves ).